#1 I usually write down one to two things that happen to me during the week for my weekly edit post but this time I forgot so I had to write down everything in one go. #2 You guys know that I started watching The Office when I went to Florida. Well, I am now about to start season 8 which means I am almost done with the show. 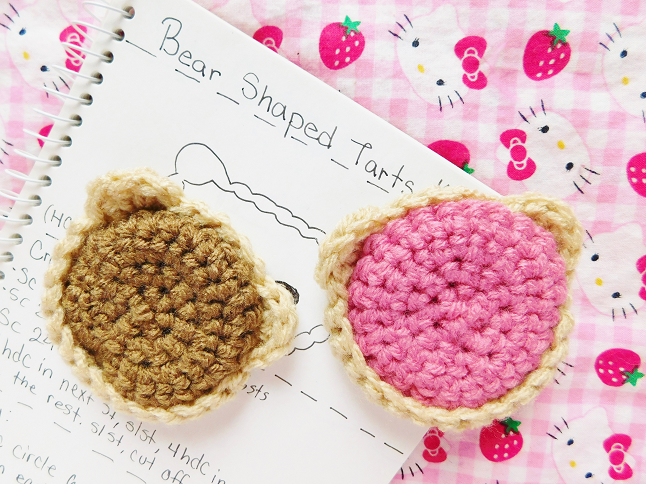 #3 What do you guys think of the bear tarts I crocheted? I actually showed these on my Instagram story a while ago. I haven't decided how I'm going to decorate them yet. Any ideas? #4 I've been really into conspiracy theories lately. I've listened to a couple podcasts on them and they're really interesting. Are any of you into that type of stuff? #5 So I failed my Instagram post a day goal that I mentioned in my May Goals. I'm not surprised though. I am still going to try and post as much as I can this month it just won't be every single day. #6 I love this post on how to get past rejection. #7 This weekend is all about taking photos for upcoming blog posts. Do you guys have any particular post you would like to see?